It has been a dramatic and remarkable season for Welsh football. At the start of the current Euro 2016 qualifying campaign, Wales were ranked 44th in the official FIFA World Rankings, and were seeded in Pot 4 with the likes of Scotland, Northern Ireland and Finland. Wales, for once, received a stroke of luck with their group as they were grouped with arguably the weakest team from Pot 1 in Bosnia & Herzegovina. By drawing them, they avoided the likes of Germany, Spain, Netherlands, and even England. However, even though they did draw the weakest Pot 1 team, they did unfortunately draw the undoubtedly strongest team from Pot 2, when Belgium's name was announced. The draw however became favourable for the Welsh with the group being completed with Israel, Cyprus and Andorra. Who would have thought back in September when Wales travelled to Andorra for their opening qualifying game, that a year later they would be top of the group, three points ahead of Belgium, five ahead of Israel, and a huge six points ahead of top seeds, Bosnia & Herzegovina. The Welsh public obviously have Gareth Bale to thank for their recent tidings. The Real Madrid man has scored five goals in qualifying thus far and only looks to improve his record when Wales face Cyprus and Israel in September. However, although Wales have stars such as Bale, Aaron Ramsey and Joe Allen, it is Chris Coleman who has been the hero of this European campaign. The Swansea-born manager was under a lot of pressure and scrutiny at the beginning of the season for Wales' poor performances in the previous outing for the 2014 FIFA World Cup. A lot of the Welsh public had given up hope with this promising Welsh squad, and wanted Coleman out of the job when Wales embarrassingly lost 6-1 in Belgrade to Serbia in 2012. Nevertheless, Coleman kept a hold of the reigns and promised the fans a more organised and disciplined Welsh outfit. And fortunately for Gareth Bale and the rest of the Wales, he kept to his word and his side has only conceded two goals in this qualifying campaign, and remarkably, none from open play. The win against Belgium last week was obviously the pinnacle of Coleman's time in charge, and undoubtedly the best moment stars, Gareth Bale and Aaron Ramsey, have endured in a Welsh jersey. But the result was down to the heroic and tactical defending by the likes of Ashley Williams and James Chester, who were tested, who were threatened, but were not beaten. During the Belgium camp. Coleman decided not to play a friendly in preparation for the Belgium qualifier. Most countries almost always organise a friendly game days prior to the qualifying game so that players can improve their fitness and gain match sharpness. Coleman and the Welsh FA however decided against it, arguing that it would risk injuring Wales' big name players and more importantly, if they did arrange a friendly, Wales would risk not being seeded in Pot 1 for the upcoming FIFA World Cup 2018 qualifying draw which takes place next month. 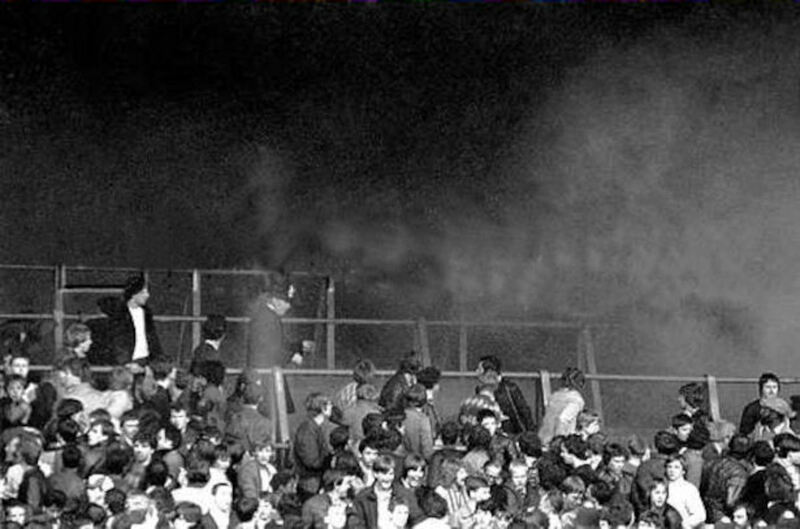 Instead, Coleman selected a bigger squad and arranged an "intersquad" friendly that took place behind closed doors at the Cardiff City Stadium. According to assistant Osian Roberts it was a huge success where the coaches could manage situations and the minutes players played. For the extended squad Coleman selected four youngster to participate in training with the senior squad. Gethin Jones, Declan John, Harry Wilson and 16 year old, Tyler Roberts were asked to train with the first team players. Wales have had a quiet tradition of producing left footed wing players down the years. The obvious choices are Ryan Giggs and current star Gareth Bale, however Cliff Jones of the 1958 World Cup Wales team was a world class player in his days with Tottenham Hotspur, and of course the late Gary Speed, who was formidable on the left flank in his Leeds United days. Well there is another just on the horizon. Harry Wilson of Liverpool has all the attributes of the former Welsh greats such as Giggs and Bale to make it to the very top. Tipped to be one of the most exciting prospects in Europe, Chris Coleman quickly made sure that Wilson was at Wales' disposal for many years to come. Wilson was born in Wrexham and grew up in Llangollen in North-East Wales. Wilson is now eighteen but at sixteen, there was a lot of talk about his ability and potential, and most importantly for Wales, what nation he would represent. Reportedly Wilson has an English grandparent and England were made aware of this and tried their hand at attempting to convince Wilson to play for England rather than his country of birth. In October 2013, with Wales having more than fifteen injured first team players, Coleman had to select players from lower league clubs and had a very limited squad. Wilson was selected as part of the 23 man squad for qualifiers against Macedonia and Belgium. He didn't get on the pitch at home to Macedonia, but four days later he was summoned by Coleman to replace Hal Robson-Kanu and make his debut at just sixteen years old. In making his debut he achieved two remarkable Welsh feats. Firstly, his first game for Wales was to be legends Craig Bellamy's last, and secondly, and more notably, he broke Gareth Bale's record as becoming the youngest ever Welsh international. In making his debut, Coleman's forward thinking made sure than Wilson was at Wales' disposal for the rest of his career and confirmed that England had another Welsh left winger to drool over for the next fifteen years. Also, he accomplished something that past managers couldn't, in he convinced a player to represent Wales rather than the old enemy, England. Previously, stars such as Owen Hargreaves, Ryan Shawcross and most notably, Michael Owen have opted for England rather than Wales. The 2014/15 season has been the best in Wilson's career so far. Although he is still to make his Liverpool debut, he is tipped to be a part of the club's 2015 preseason tour of Australia and predicted to challenge for a place in the first team squad next season. 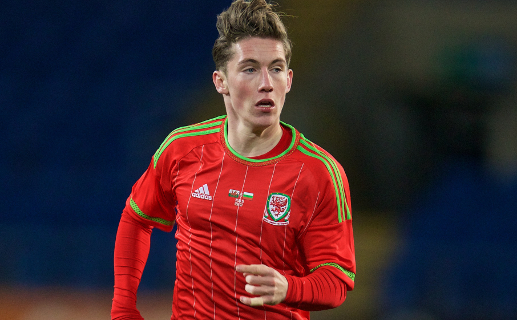 With Liverpool being in the Europa League, the likes of Harry Wilson and, international teammate, Jordan Williams are likely to be involved in some aspect. Wilson's defining moment of the season came against city rivals Everton, where they played out the "mini-Merseyside" at Chester City's stadium; just over the border from where Wilson grew up. Wilson was a substitute in the u21 fixture but came on and scored the winner with minutes left in the game. He cut inside from his favourite right flank on his left foot, beating a defender, and rifled it into the near top corner. 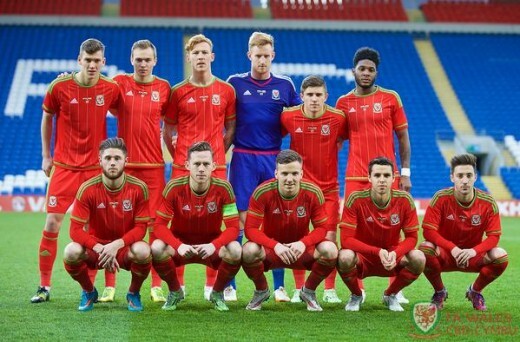 For his misfortune, Wales u21s teammate, Gethin Jones was on the receiving end of the defeat. Performances against Real Madrid in the UEFA Youth Champions League also gave Wilson recognition from abroad, and after he was nominated for the Premier League u21s Player of the Year, several Premier League clubs are interesed in loaning the young Welsh Wizard next term, although, I suspect Brendan Rodgers will have something to say about that. With Wales seemingly having already booked their place in France for next summer's European Championships, Wilson will have to impress at senior level at Liverpool next season, or perhaps out on loan, to try and get his way into Coleman's thoughts and plans for the final 23 man Wales squad. Another promising prospect from Merseyside, however Jones favours the colour blue to red when it comes to his club football. Born in Perth, Australia, his parents returned to Wales after his birth and was raised in North Wales near Bangor. A boyhood Everton supporter he joined the Toffees at the age of twelve and has risen through the ranks to be on the fringe of the first team for the first time in his career. Jones, a fluent Welsh speaker, made his competitive debut for Everton this term when he was a substitute in Everton's final group match in the Europa League. In 2015 he was loaned out to League Two outfit, Plymouth Argyle, where he contributed well and returned to Everton, after impressing, and was awarded a new contract by Roberto Martinez. Jones, played primarily as a right back last season with Everton's u21s and at Plymouth but has the capability of playing numerous positions. He is comfortable on the right hand side of midfield and also as a defensive midfielder. Jones' is reported as having deceptive pace, considerable strength, and formidable stamina. However, his versatility is definitely his biggest strength; this attribute will stand him in good sted next season because it will be difficult for him to push Irish right back Seamus Coleman out of the Everton XI at the right back position. 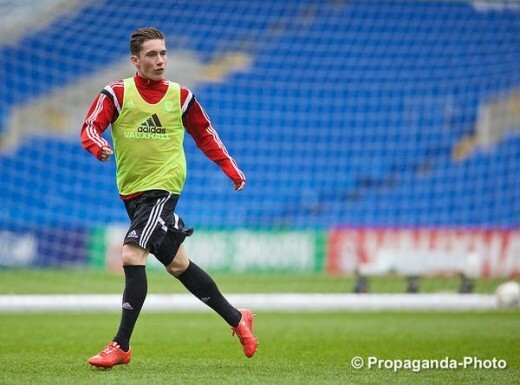 Jones has been capped at all levels for Wales and has even captained the under 17s and under 19s in the past. 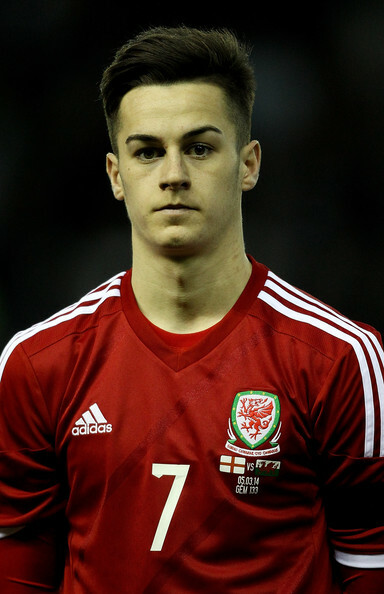 However, in March 2015, in only his second u21 game for Wales, he was appointed captain by Geraint Williams even though he was one of the youngest in the squad, being only nineteen. Nevertheless, Jones excelled in his role, starting at right back and leaded the team to a convincing 3-1 victory at home to Bulgaria at the Cardiff City Stadium. In May 2015 he was asked by Chris Coleman to train with the senior squad ahead of their qualifier against Belgium. Having come through the ranks at Manchester United, Lawrence was tipped to challenge for a first team squad place at Old Trafford last term after impressing the United faithful by making his debut in 2014 against Hull City. 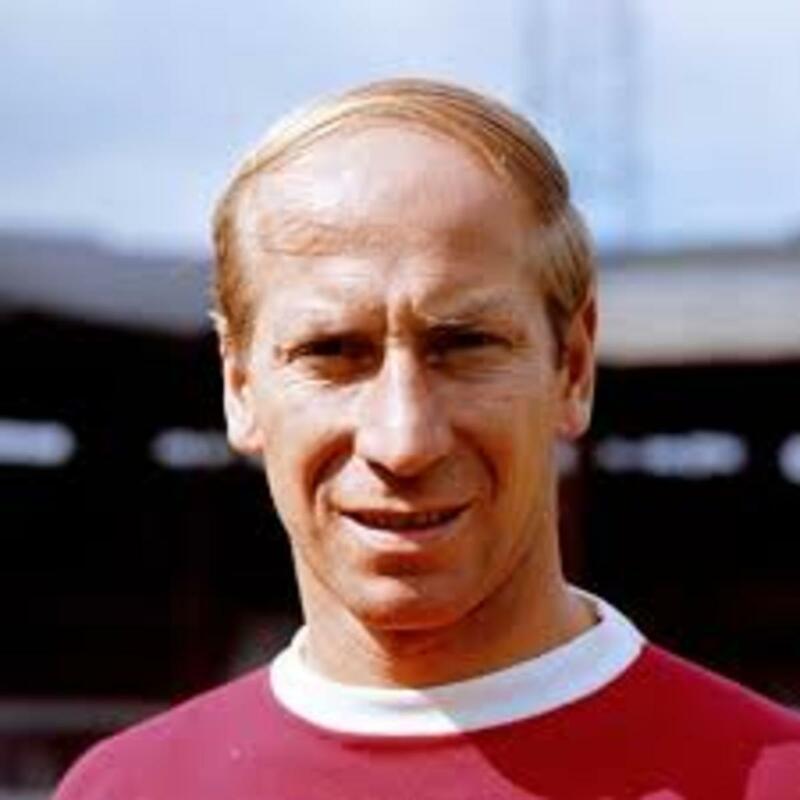 The game is mostly remembered by the brace fellow academy player, James Wilson, scored but Lawrence had high praises from pundits and most notably caretaker manager and Welsh legend, Ryan Giggs; Lawrence was even substituted for Giggs which would be his last game in a Manchester United shirt. After the appointment of Louis van Gaal last summer, Lawrence wasn't selected for Manchester United's preseason tour of America and later was sold to Premier League new boys Leicester City. 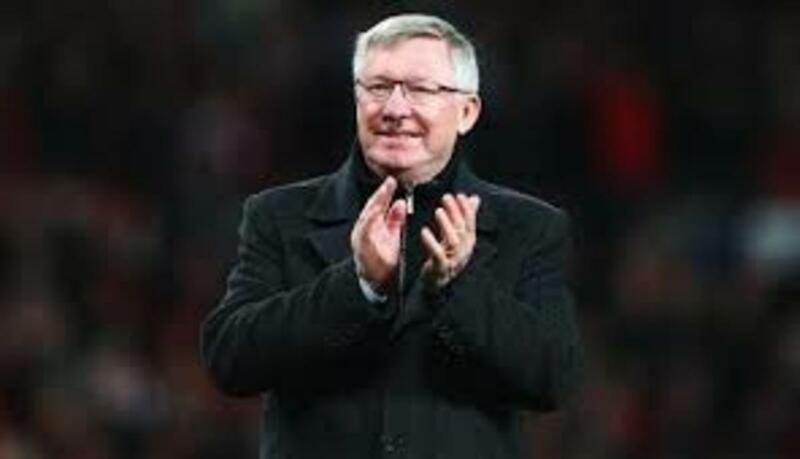 Giggs, now assistant manager at United, and former player Paul Scholes, were not pleased with the sale of Lawrence but wished him well at his new club. Born in Wrexham, he has represented Wales at under 17, under 19, and under 21 level before he was selected by Coleman last summer for the senior squad for the friendly against the Netherlands in Amsterdam. His selection was merited, Coleman said, because of his performances for Manchester United and the Wales u21s. Most notbaly, Lawrence received the Man of the Match award against England in a under 21s qualifier at Pride Park where he was on the losing team to a 1-0 defeat. A reported nine clubs were interested in Lawrence last season to either persuade him away from the King Power Stadium or merely on loan. Leicester boss Nigel Pearson refused any offers because he wanted a fully fit squad for Leicester's end of the season "run-in" with relegation. Turning twenty-one last January, Lawrence can play on the left fank or behind the striker, and contains exceptional technical ability, fantastic vision, and has an eye for goal. He has been selected in all of Chris Coleman's 23 man squads for the current Euro 2016 qualifying campaign, however he is yet to make his senior debut. Twenty-one year old, Llanelli-born, Emyr Huws came on to the senior stage when he made his senior debut against Iceland in March 2014, where he started alongside the likes of Gareth Bale and Joe Allen. He impressed on his debut and showed a performance that was beyond his years in regards to his maturity and positioning on the pitch. He received major plaudits from manager Chris Coleman after the game, along with former Welsh players, Jason Bowen and Dean Saunders. Huws joined Swansea City's youth academy when he was just eleven years old and came through the ranks with current international player Ben Davies. However, because of the impressive reviews, he was snapped up by Manchester City in 2009 and moved to Manchester. After completing a successful loan spell with Northampton Town in October 2013 he returned to Manchester City with glowing praise from manager Aidy Boothroyd and captain Kelvin Mangleed. A year later, in January 2014, he made his competitive debut for Manchester City when he came off the bench in an FA Cup win against Blackburn Rovers. After significant displays for the under 21s he was loaned to Birmingham City where manager Lee Clark placed him straight into the starting XI. He played every game he was fit, and even scored a fantastic goal against Derby County that was nominated for the Championship's Goal of the Season. He was a part of the Manchester City squad that toured the United States last summer but when he returned to England he was sold to Wigan Athletic. During his Birmingham City loan spell, Chris Coleman took notice of his performances and handed Huws his debut. 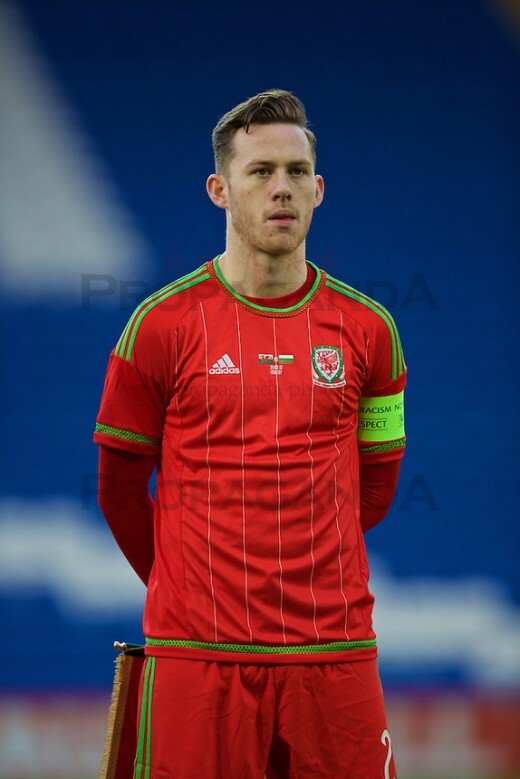 On the international side of things, Huws has represented Wales at all levels at under 17, under 19, under 21 and of course the senior team, where currently he stands at five caps; coming off the bench against Andorra, Cyprus, and Belgium in the current qualifying campaign. Huws is a presence in the centre of midfield where his big frame and athleticism allows him to break up play and dictate the pace of the game from his withdrawn position. He has a slick left foot and has an eye for a long field pass. Coleman, and other former Welsh players, have all agreed that he has a huge Welsh future ahead of him. Having only turned 16 in January, yes 16, Roberts is already a regular in West Brom's under 21 team, scoring three times last season in thirteen outings. He has performed exceptionally well for the under 18s and 21s according to Baggies manager and fellow Welshman, Tony Pulis. In fact, he impressed Pulis so much in the youth age groups that Roberts was selected for the last two Premier League games against Manchester United and Arsenal. Born in 1999, and having just turned 16, Roberts is well beyond his ears in terms of quality and technical ability, but his main strengths are his speed and power according to the West Brom coaching staff. West Brom traveled to Old Trafford and to the Emirates in May to complete the 2014/15 Premier League season. 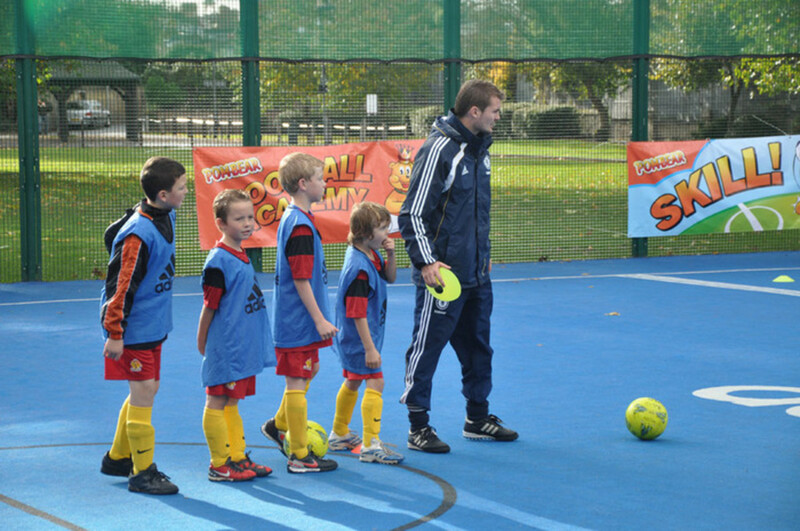 Roberts was an unused substitute in both games, however, gained valuable experience and insight on what it takes to be a Premier League player. Gloucester-born Roberts attended the Sandwell Academy before joining West Brom and was even selected as an England school-boy before opting to play for Wales. Roberts says that Wales showed more trust and commitment in him than England ever did. He qualifies for Wales because of his grandparents and has represented Wales at both under 16 and under 17 level. Remarkably, he was the main man for Wales under 16s, in their Victory Shield win last year. Wales beat Scotland, Northern Ireland, and most importantly, England to lift the trophy in impressive fashion. His performances were well beyond his years, and for it, he received the Player of the Tournament Award. He and fellow Wales youngster, and Swansea City academy player, Liam Cullen joined to make a formidable attacking partnership for the young dragons. 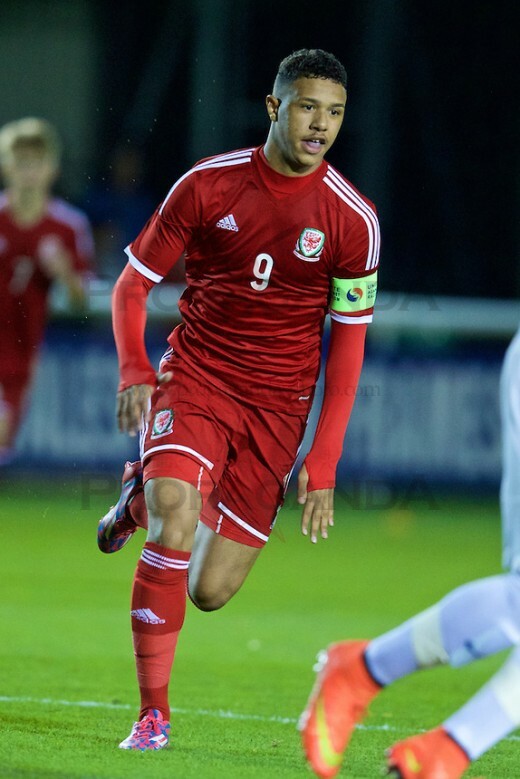 Representing Wales jat ust the under 17 level, to everyone's surprise, Roberts was included in Chris Coleman's preliminary squad for Wales European qualifier against Belgium last month. He would train with the senior squad for the first week and play in an "inter-squad" friendly at the end of the week where he would line-up against the likes of Gareth Bale and Aaron Ramsey. Baggies coach, Tony Pulis had stated that he hopes Roberts will stake a claim next season for a first team place so that he will be in Coleman's mind for next summer's European Championships. It would be nice to see the Welsh finally competing on the same level as England and Scotland again. 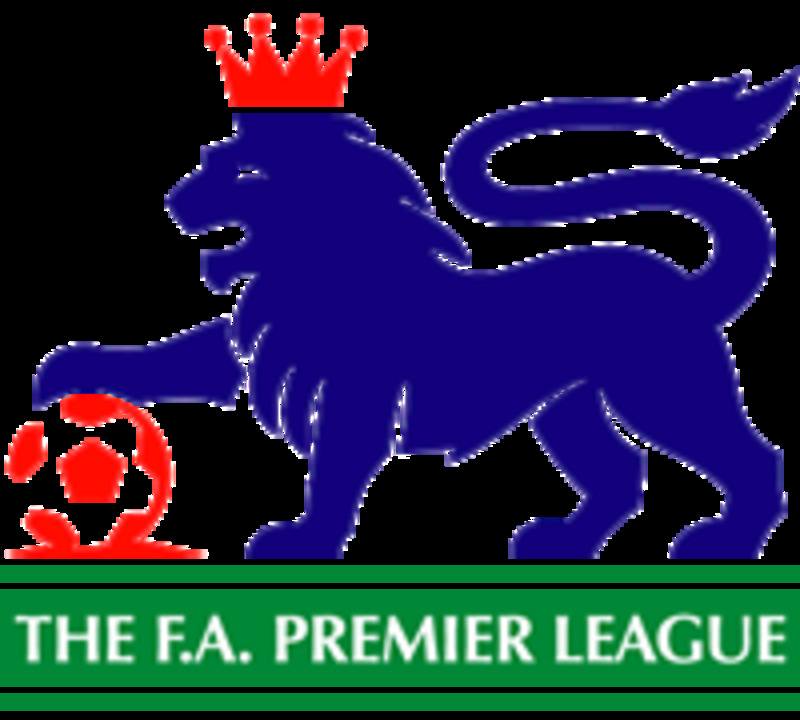 One feels that the British Isles should be capable of producing teams of the calibre England once had, being undefeated at home until the 1954 loss to Hungary at Wembley. The Welsh definitely play with flair and Swansea have been helping put them back on the map again.